At a hearing on Capitol Hill on Thursday, Energy Secretary Rick Perry expressed his willingness to help coal and nuclear plants out with an emergency order similar to one requested by energy firm FirstEnergy earlier this month. Two weeks ago, FirstEnergy asked the Department of Energy (DOE) to invoke Section 202(c), which allows the department to order certain US power plants to keep running during wartime or during a natural disaster. The energy firm then filed for bankruptcy a few days later. There has been skepticism within the DOE that Section 202(c) should be used for any purpose other than a disaster. But at Thursday's hearing, Perry seemed to play up the dire state of the American grid throughout his comments in front of the US House of Representatives Subcommittee on Energy, where he took questions from representatives about the Trump administration's budget request for 2019. The secretary said that Americans were having to chose between keeping their families warm and turning the lights on, and he repeatedly invoked national security as a reason to maintain existing coal and nuclear plants. However, major grid operators have contended that resilience can be improved without keeping uneconomic coal plants online. Earlier this week, the DOE opened an unofficial comment period on whether the department should use Section 202(c) to bail out FirstEnergy, updating the department's Section 202(c) landing page with an email address people can send their comments and concerns to. 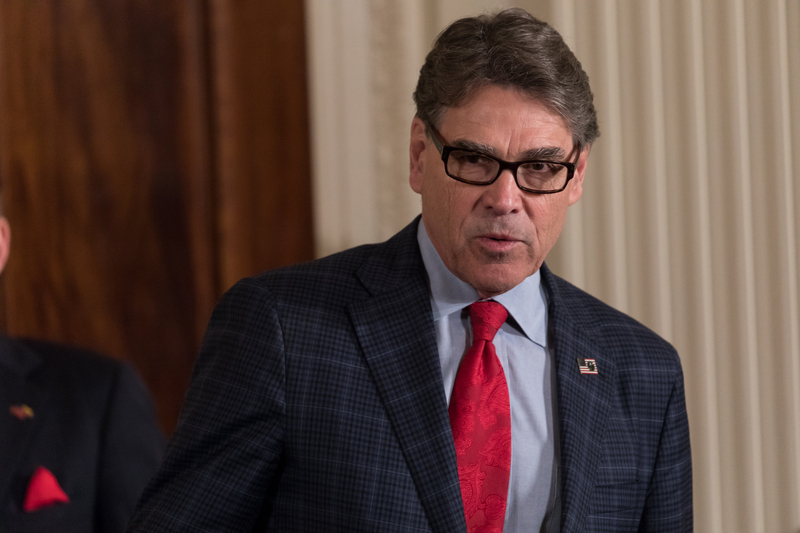 Perry spent most of his first year on the job as Energy Secretary laying the groundwork to propose a rule that would help coal and nuclear power plants stay afloat despite competition from low-cost natural gas. But when the federal energy regulator struck down Perry's proposed rule in January, the Trump administration was forced to seek other avenues to fulfill a campaign promise to reinvigorate the coal industry. On Thursday, Perry admitted that the failure of his proposed coal compensation rule led him to consider using Section 202(c) to keep coal plants like those owned by FirstEnergy open. Perry's remarks in front of the House Subcommittee on Energy suggest he's hoping to build a case for the use of Section 202(c) by casting the current state of affairs in the US as an emergency. "When we look at national security in particular, if you're in New York City and Wall Street were to lose power, I think anyone would say that puts our national security in jeopardy," Perry said. The emergency exists on a personal level, too, the secretary asserted. "Why should any one be put in the situation to chose between turning the lights on and keeping my family warm?" Perry said, which seems to be a reference to how the natural gas supply is divided between residential heating and electric generation use. Perry added later, "It is imperative that we dont allow political decisions to be made relative to our… power security in the country." It was unclear to which political decisions the secretary was referring. Later in the hearing, Representative David McKinley (R-WV) brought up the possible Section 202(c) action again. "Can you just imagine what our grid stability is gonna look like… if we have fewer coal and nuclear plants?" the representative asked Perry. "Our fuel security is a national security issue." McKinley later added, "I believe it's time… some other emergency act is necessary if we're going to have national security. I'm calling on you to use whatever powers you have." Perry enthusiastically greeted this sentiment. Mr. McKinley, I hope your remarks have been televised and we can put them up, because you have succinctly made the point for exactly what needs to happen in this country from the standpoint of being able to protect the resiliency and reliability of you electrical grid… If you do not have sufficient coal and nuclear plants, the day is coming… that the national security of this country is jeopardized. I don't think that's appropriate in any way… political decisions that put people's lives in jeopardy are inappropriate. I think the president understands that… and that's exactly what were working on today. Again, it was unclear to which political decisions Perry was referring. "Are we getting close to a decision?" McKinley asked. "Expedition is of importance," Perry responded.